New Year Market Update: Stocks Open 2018 At Record Highs - Inukshuk Capital Management Inc.
January 11, 2018 /in Market Update /by Inukshuk Capital Management Inc. Global stock markets started the year on a high note, with Wall Street and Europe scoring their biggest weekly gain in at least eight months. The lively start to the year resumes recent trends for stocks following a somewhat subdued end to December. Wall Street delivered its biggest one-week advance in a year, with most major sectors delivering strong gains. All three major indexes soared to record highs, with the Dow Jones Industrial Average crossing 25,000 for the first time in history. Between the Dow, Nasdaq and S&P 500, stocks returned between 2.3% and 3.4% for the week. The Dow posted 71 record highs in 2017, including four 1,000-point milestones. December was another positive month for the U.S. markets even as the final week of the year was relatively flat. European stocks tracked the U.S. rally, with the benchmark Europe Stoxx 600 registering four consecutive daily advances through Friday. Canadian stocks rose sharply in the holiday-shortened week, led by financial and industrial sectors. 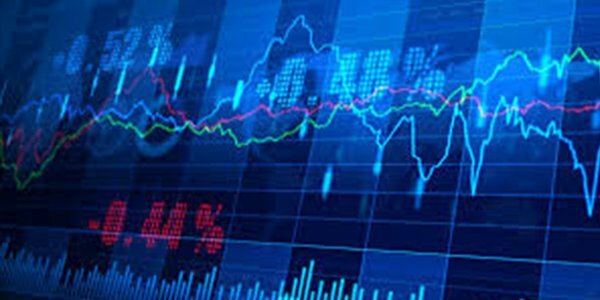 The TSX Composite Index closed at new highs in the first three days of the week before paring gains on Friday to settle at 16,349.44. The benchmark Canadian index defied a broad downtrend in the global market during the final week of December. Whereas U.S. and European stocks declined before the new year, Canadian equities set fresh records. Canadian markets are benefiting from an upsurge in oil prices, a robust economy and demand for marijuana stocks ahead of the government’s planned legalization of recreational cannabis this summer. The Trump administration scored its first legislative victory last month after both houses of Congress approved a $1.5 trillion tax reform bill. The new bill, which was officially signed by President Trump Dec. 22, slashes corporate taxes to 21% from 35% and nearly doubles the standard deduction for individuals. The president is now expected to shift the administration’s focus to infrastructure, with a plan to unveil a preliminary blueprint later this month. Rebuilding America’s roads, highways and airports is expected to be a key priority for 2018, and will likely be included in the president’s State of the Union address on Jan. 30. Sara Sjolin (Jan. 5, 2018). “EUROPE MARKETS: European Stocks Score Biggest Weekly Gain In 8 Months As Global Rally Stays Strong.” MorningStar. Ryan Vlastelica (Dec. 28, 2017). “Dow ends at 71st record close of 2017 as U.S. stocks end modestly higher.” Market Watch. Kimberly Amadeo (Jan. 4, 2018). “Dow Highest Closing Records.” The Balance. Heidi M. Przbyla (Jan. 5, 2018). “At Camp David, Trump will push Republicans to make infrastructure top 2018 priority.” USA Today.